My Favorite Things En Ce Moment | Life in Paris with a limited wardrobe. 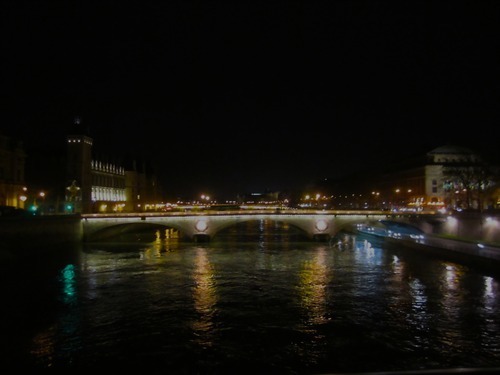 Crossing the Seine by foot at night. I’ve been feeling more grateful of the town that I’m living in lately…especially after a fun- full day in Paris. It’s humbling to be living in here. Yet another Icelandic musician who makes me what to pack my bag and move to Iceland. Seriously, to play music with him or a fellow colleague of his would be amazing. Plus the Icelanders do have a lack of harp to their music. After being self- quarantined for a week because of illness, I do greatly appreciate my health. And I’ve been waking up with the ready-to-conquer-the-world feeling! I finally made my desk. I feel more productive now that I have a designated work area chez moi. This entry was tagged ólafur arnalds, Paris, Paris Je T'Aime, Paris living. Bookmark the permalink.